You are currently browsing the tag archive for the ‘charlottetown pei’ tag. i am currently teaching a 75 minute clubbell yoga class in montague once a week and will be bringing clubbell yoga to the studio in the very near future. in the meanwhile, i am offering a 45 minute cbyp12 blend (clubbell yoga primal 12 blend) class on wednesdays at noon beginning next week, wednesday february 4th. 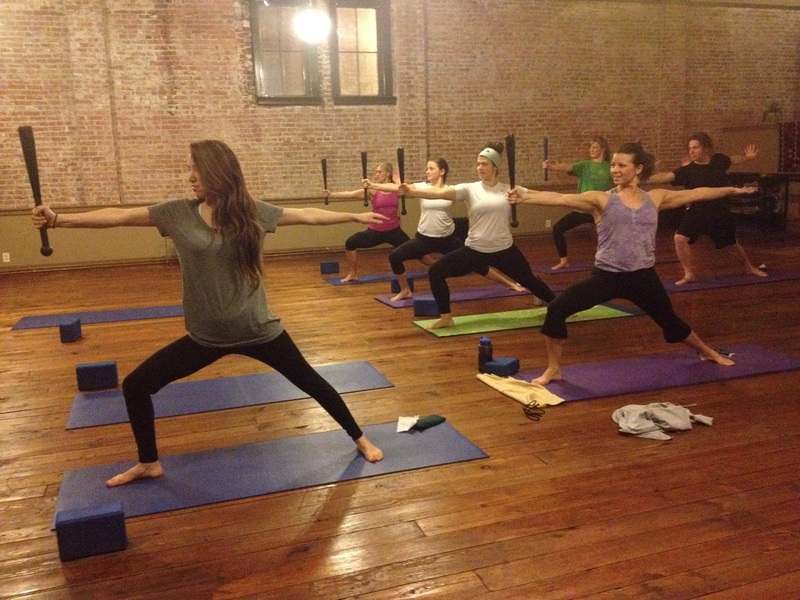 clubbell yoga is the fusion of two ancient disciplines — club work and yoga. it is the union of strength and asana. primal 12 addresses common movement patterns, sports-related skills, in a way which combines dynamic flexibility training and the strengthening of stabilizing muscles (particularly in the hips, shoulders, core). it is a program with will supplement your current strength training practice or yoga practice. this class will sandwich high intensity interval bodyweight and clubbell yoga conditioning movements between a flow warmup and a weighted & unweighted yoga flow. this promises to be a delicious midweek treat in your exercise & movement routine. 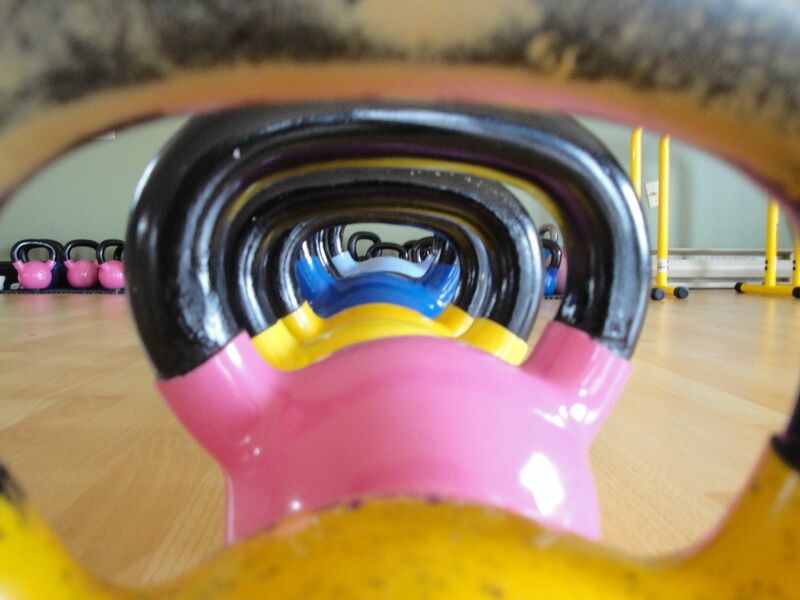 At the moment, I am instructing/coaching 12 kettlebell training classes per week and am rounding up on 1200 classes since I first certified as a Kettlebell Coach. That is a whole lot of weight that has been moved before my very eyes by folks who stand in testament to dedicated well being! Creating great classes is an engaging challenge for me. I love to think about movements and combinations of movements which will achieve varying goals, challenging participants’ bodies and minds in different ways. Body weight exercises: 5 minutes running, including stair running, followed by jumping jacks, body squats, burpees and walking lunge variations. Upper body kettlebell exercises: shoulder twists, side swings, shoulder tosses, standing pullovers and halos. 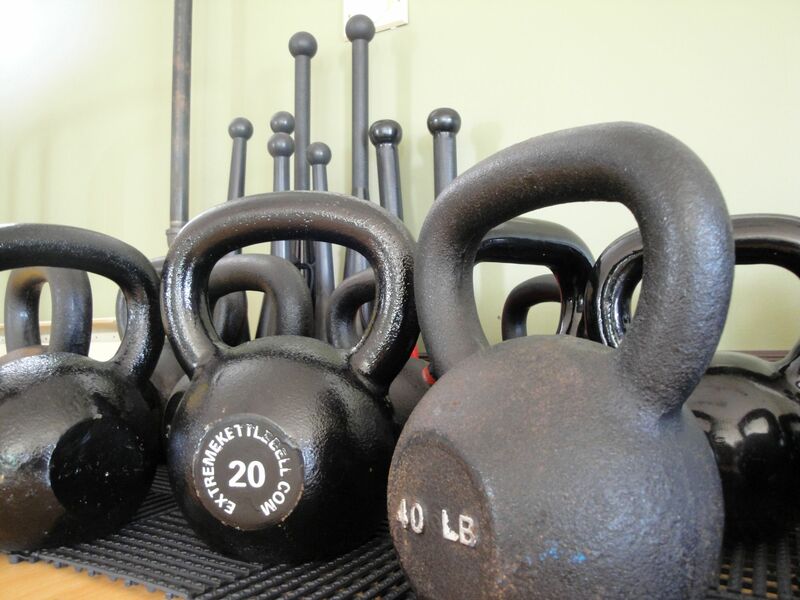 A kettlebell skills clinic allows you to learn the basic movement patterns of kettlebell training. Once you execute the movements properly, you’ve given yourself the gift of an amazing new training method. Kettlebell Training provides cardiovascular conditioning, strength training, endurance, flexibility, balance and core conditioning all in one intense workout. If you’re looking for metabolic training, this is where you’ll find it! Each year, a group of avid bicyclists travel Prince Edward Island from ‘tip to tip’ as a fundraiser for school breakfast programs. This year, for the first time, I joined the event as a support vehicle volunteer. And it was an amazing ride! The Biking For Breakfast Challenge is the brainchild of one high energy, incredibly affable man by the name of Ken Trenholm. Ken also is a founding member and one of the driving forces of the Summerside Cycling Club. The Challenge begins bright and early at North Cape and concludes in the evening at East Point. This year’s route, with refueling station placements, was 284.7 kilometres in length. 117 riders were registered; 97 of them took the challenge. Lots of money was raised. Support Vehicle Volunteers worked in pairs to provide any support needed by the riders — moral support and encouragement, tire tubes, water, directions, rubs and stretches, and just about any other request they threw at us. There were quite a few tire repairs en route, a detour due to a motor vehicle accident, a water shortage during the heat of early afternoon, and at one point I had a rider on her back roadside while I stretched her aching backside muscles. It was a demanding job but it was so much fun; the riders were incredibly courteous and appreciative, making it a total pleasure to assist them. Four of the participants were doing the ride for the second day in a row! Uh huh, yes. On Friday they rode East Point to North Cape — ten hours of cycling time — and completed the return trip on Saturday. Their heart rate monitors were registering over 11,000 calories expended each day. #52 Rob Chambers of Halifax approaching the East Point finish. Amazing energy in those legs still! Each and every one of the cyclists on that course was an inspiration. Determination and courage, stamina married with generous spirits, personal bars raised high and minds sharply focused on propelling themselves beyond personal limits. I spent a phenomenal Saturday among people who are the embodiment of fitness; cyclists and volunteers shiny and bright in the quality of their humanity. Am I not I blessed?